Minecraft is a very fun game, but playing together with your friends will make it a really terrific experience. You can make a server which will let you to build and play together, that individuals can join or leave at will. Minecraft isn’t an extremely hardware-intensive game; however, if you’re thinking to make your own server, then there are a few major points to think about. The very first bottleneck you’re probably to encounter is the RAM: You generally will need around 1GB RAM for around 4-5 players who’ll be out there on your server. The chief roadblock can be your Internet connections. If you’ve ever played Minecraft, then in that case it’s simple to see that how much amusing this can be. Running up your own server permits you to bring all your friends into same game and can play with the rules you can make or break. This is ultimate in an addictive game already! If you are thinking how to make a minecraft server, then read the article below. We’ve shown you already the ways to start with Minecraft. What’s better than a single player? Of course, multiplayer! You can join any one of many of servers to get started with this game, or search for more elite ones around, but you’re ultimately bound by their discretion and rules. Running your server lets your friends and you can play along with your own rules set, and it’s truly simple to do. In case, you desire to dedicate more (or even less) RAM to the server, change your 1024M to anything else, such as 2048M. The very first number is maximum quantity it can utilize, and second number is minimum. As everything is there in Java, you must have a spare gig at least of RAM to allot to Minecraft. Things may get unruly with just decent number of individuals playing, particularly when you begin to do some crazy stuff such as blowing up vast caverns with enormous amount of TNT. In server window, you’ll notice the memory along with processor thread utilize on the left, list of linked players in lower left, and chat and log window on the very right side. First time you just run the server, you definitely will get a few errors. That’s normal, so no need to panic! The server might have not found the configuration files which it needed, so it made them. You’ll see a few new files turn up in same folder like your server. There’s a “world” folder that contains your produced map area, one ops list, and server.properties file, amongst other things. Once this world is finished producing, you’ll get some notice about help file. Close server, or in case, you’re running it inside Terminal, just type the word “stop” (without quotes). We’re now going to twist and we cannot do that when server’s running. Open server.properties file in the notepad. You’ll see a few important options for how to make a minecraft server. level-name: It is the name for your Minecraft world. In case, you change the name, this server will search for a folder having matching name, and in case none is found, it’ll generate a completely new level with the same name. spawn-animals: If it’s set to false, the animals such as cows, wolves, chickens, and sheep will not seed. spawn-monsters: If this is set to false, the monsters such as creepers, skeletons, and zombies will not spawn. Turned off often for “creative” or “op” servers, where everybody builds and survival isn’t the center of gameplay. white-list: If it is set to true, your server will allows the usernames only in “white-list.txt” file in order to successfully connect as well as play. pvp: If it is set to false, the players won’t be able to hurt one another, though you still can inflict harm by pushing the other players off the ledges. For a whole description of all the options, look into the Minecraft’s Wili page. Once you’re done modifying things to what actually you wish, save the file. As it’s your server, ensure to add your own Minecraft username in “ops.txt” file. In this way, you’ll become an “operator” with complete admin rights. You may generate any item that you wish for, make the other players ops, ban players, and change in-game time. For all your friends to get connected to your server, you definitely will need to configure ports forwarding on the router. Default port is known to be 25565; however, this can be modified in server.properties file. All your friends will require your IP address and the port number in order that they can get connected. When you’re ready, then start up your server again. When you begin Minecraft, you’re given an option of getting connected to the multiplayer server. By clicking on it, that will permit you to enter the address information. In case you’re playing on same computer like your server, you then can type “localhost” simply (without quotes). Otherwise, connect your server domain name or IP address. Click connect, you’ll join that server. 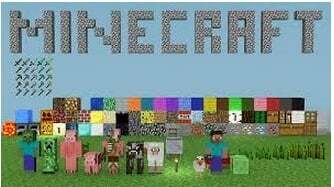 By now you must have got your answer for how to make a minecraft server. Hit T in order to bring the chat console up. You’ll see all the system messages, public messages by the users, and commands which you’ve executed. Notice little prompts (>) in lower left corner. Simply typing anything and hitting the Enter key will send message to all the other players in group chat. You may execute commands here, as well, and they begin with forward slash (/) always. As the op, you must be capable to type the “/list” and hit the Enter button to list all the linked players. You also can provide items to any other player (including yourself), pardon and ban specific users, and vary system’s time. If you’re uncertain of a particular command’s requirement, you may type “/help” to obtain more info. Now since you now know how to make a minecraft server and have created one as well; so, go and inform all your friends to connect! There’s nothing which beats building gigantic structures, exploring enormous landscape, and mining in mountains, excluding doing that with 8 best friends.